You might think that you’ve seen every kind of coffee maker available on the market. It’s like there couldn’t be any more developments in this already crazy world of brewing devices and methods, right? However, the cosmos just keeps going and going. So let’s grab that gamma-ray telescope we’ve borrowed from NASA and journey into the world of Siphon coffee makers, also called vacuum coffee makers. What Exactly is a Siphon Coffee Maker Anyway? 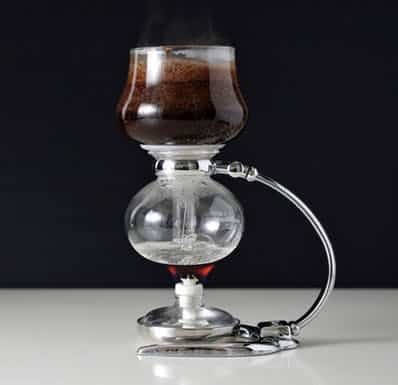 A siphon coffee maker is a brewer that’ll take you to another dimension of brewing. The coffee produced from a siphon brewer is hard to beat. They’ve served as the secret behind some of the most successful craft baristas in the world. 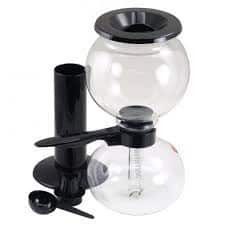 There are two types of siphon brewers; stovetop and standalone. This makes understanding the processes among these various brewers pretty obvious. Stovetop brewers can be kept on top of your gas or electric stove. However, there needs to be a diffuser implemented to protect the glass from cracking under heat. They’re a very much easy to use apparatus but many will argue they’re not as stylish as the standalone brewers. Standalone brewers, on the other hand, come with an external heat source such as butane or alcohol. 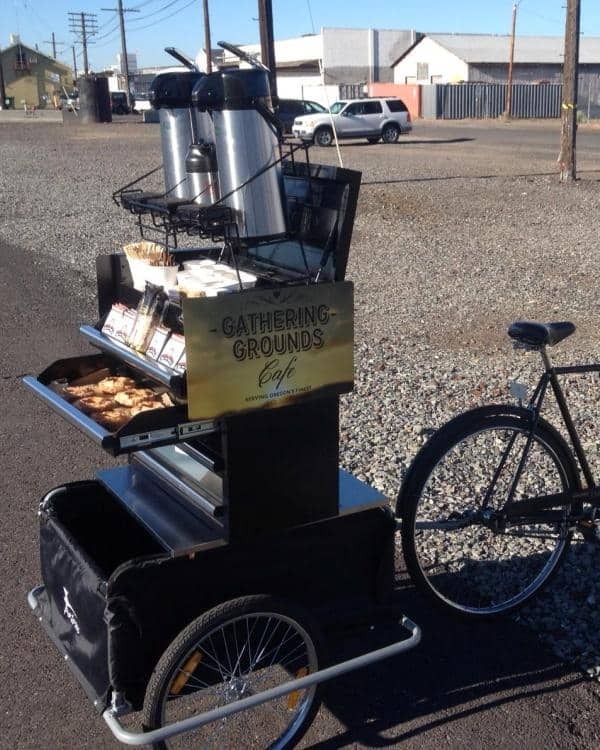 Hence they’re basically portable and can be used anywhere. If you’re able to successfully pack the fragile materials that make-up one of these beautiful space stations, you could likely make the most impressive cup of mountaintop coffee possible. Siphon brewers have a relatively short history, with their origin in the 1980’s. Many of those brewers that originated from that time are less functional and likely only serve as antiques in fancy cafes than actually brewing coffee today. However, the archetype for those siphon beauties led to some impressive developments in the realm of coffee creation. 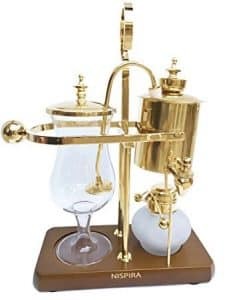 Today, we’ll find that the body of siphon coffee makers is composed of the trademark glass whereas in the past you’ll find that the coffee makers featured mostly metal and brass parts. Though they might be more fragile now, it’s likely that they’re much better at performing their brewing function. 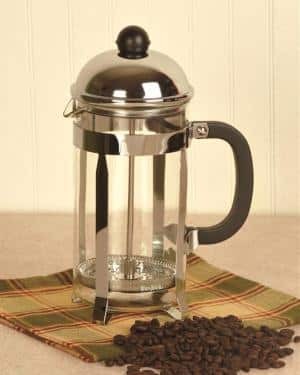 Now that we know a bit about what a vacuum siphon coffee maker is and how they can differ lets now look at our favorites on the market today! 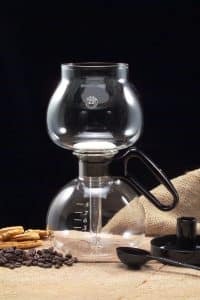 Made entirely up of borosilicate glass, the Yama Glass Stovetop Coffee Siphon is indeed an appliance easy to love – especially if you’re a fan of vintage collections like me. It’s been designed to style any kitchen, with a completely transparent process of coffee makers that’d fascinate anyone. No plastic parts are used to put this coffee maker together. It’s both good and bad news. It’s good news because no harmful plastic will end up in your final cup and bad news because glass has made the siphon pretty destructible. One careless move is all it takes to shatter it into pieces. Designs aside, let’s have a look at its functionality. It’s a completely manual process which will require some commitment on your part. However, on the bright side, it allows you to customize your cup to your liking. Everything from the amount of coffee to the steeping time is for you to decide. With a little bit of learning curve, you’ll perfect the art of coffee making. I’d say that the coffee from this Siphon is worth all the initial hassle. This is because the taste is rich in flavors that are missed in drip coffee makers, and some even claim that it beats coffee from even famous baristas! One issue many siphon coffee users tend to find is that these are large fragile objects and so they should be treated with care. It’s no secret that Japan’s got the best glass. So when Hario advertised this coffee siphon to be made of Japanese heat-resistant glass, I had no doubt about its durability. The Hario Technica Coffee Siphon is indeed one of the most beautiful coffee makers one can find. Right out of the box, it not only looks but also feels sturdy and of very high quality. The glass is quite thick so that you don’t have to be fearful every time you even breathe passing it. The glass also makes the process translucent, letting you sit back and enjoy the science behind it. To speed up the process you can preheat the water and reheat it once you pour it into the siphon. But be careful not to expose it all of a sudden into either too hot or cold water as the glass, no matter how strong, is still glass. However, it does take a good couple of minutes to brew coffee. But the taste makes it worth the wait. On the downside, you might not like the burner Hario comes with. It requires Syphon Alcohol that sometimes fails to produce adequate heat to get the process going. So if that’s the case, add a small Butane burner to your cart along with your buy. If you’re planning on brewing more than two cups of coffee at a time, then let me give you a fair warning, this isn’t the unit for you. If you’ve ever thought that French Press coffee can’t get any better, then Yama Tabletop Syphon is here to prove you wrong. The sealed interior is what adds to a confident isolated brewing system. It’s a pure experience that can brew 20 ounces at a time. 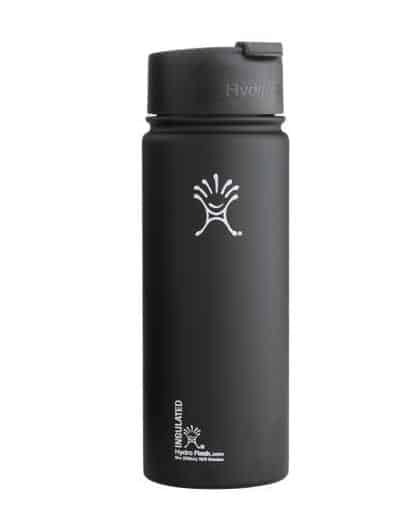 It’s great for a family of single cuppers or one person to brew a cup for home and thermos the rest to work. Yes, I just used thermos as a verb, and you should too. The design is definitely worth mentioning as it’s classier than most siphons I’ve laid eyes on. After serving coffee it still looks great on the countertop and serves as a pretty decorative piece to your kitchen. 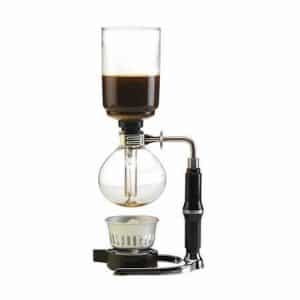 The Yama five cup is higher on the price scale than some of the other siphon makers out there but it has the quality of a higher priced item as well. Additionally, it comes with five reusable cloth filters that maintain their vigor without needing replacing for quite some time. The package also includes a useful butane burner which is of exceptional quality. It’s heavy duty, easy to use and can be adjusted in very small increments to truly perfect your cup of coffee. One further feature that one will benefit from is that it’s compatible with gas stoves as well. Its quite sturdy glass too. It wouldn’t, of course, survive a fall, but under proper care will live up to your expectations. With stainless steel water retainer and plug, the Nispira Balance Siphon Coffee makers look like royalty. It’s an impressive looking device that one unfamiliar with siphon coffee makers might blush at. Heat-resistance glass adds to the durable investment you’re making here. Also designed to feature a sturdy plated balancing shaft, and handle alcohol burner. The wooden base not only looks great but is easy to clean, and adds to the high caliber of the overall design that presents on a Nispira coffee maker. The process is simple: The reusable fabric coffee filter wraps around the end of the siphon that sits in the glass cup. Fill the metal canister with water, place ground coffee in the glass cup, light the lamp and wait for brilliant coffee! The Bodum company is known for it’s clean and minimalist design. You’ve likely seen these offered almost everywhere coffee products are sold and there’s a reason. This Scandinavian coffee maker is no exception to the rule. This vacuum brewer is only slightly larger than the Yama stovetop, but the Bodum has the market cornered on high-quality materials and solid build design. 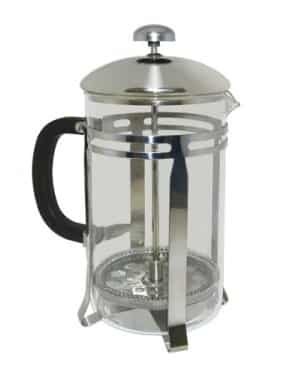 This vacuum brewing system has been fascinating coffee lovers since the fifties when Peter Bodum imported a French vacuum coffee maker and sold it on the Danish Market. Although he found it both unsatisfactory and expensive, Peter found the device intriguing and capable of being improved. With further research, he was convinced that the vacuum brewing system was an excellent way to brew an exquisite cup of coffee. 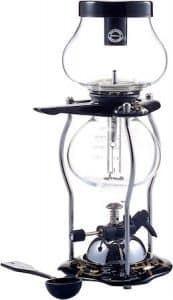 Thus, the first Bodum Santos vacuum coffee maker was born and continues today as the Bodum PEBO Stovetop glass vacuum model. It’s the tried and true vacuum brewer that truly took the world by storm. A word to the wise when it comes to investing in these feats of modern coffee science. Most siphon models often come with cloth filters and they do an excellent job at trapping all grounds from your coffee. They can be difficult to clean since they are made of cloth, however there are many metal disc filters out there worth experimenting with. After each use, they need to be emptied, scrubbed and dried so that mildew won’t grow. But the good news is that certain recent models come with stainless steel filters that are a snap to clean. Newer models even come with halogen and electric burner compatibility. These models tend to be more expensive. 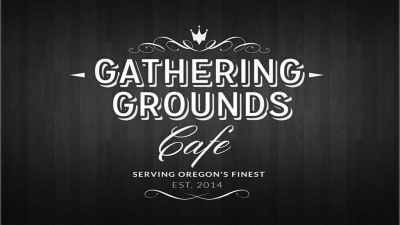 If you’re looking for other coffee gear feel free to read our reviews and peruse our gear as well.